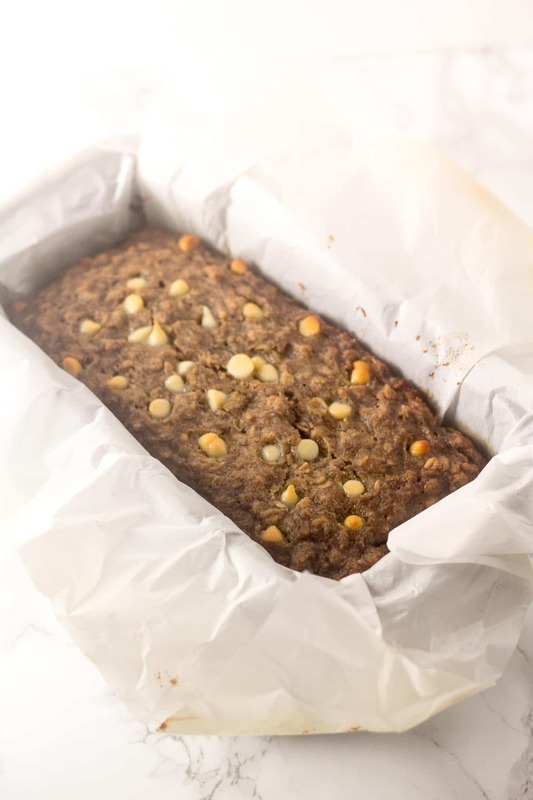 Banana Oat Bread | Nashi Food! Have some overripe bananas at home? 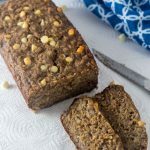 Try this easy 12-ingredient banana oat bread, you will love it! Today I am sharing a sweet recipe, that is really simple and easy to make. I have the freezer filled with overripe bananas. They are great for smoothies. Sometimes I add them to my oatmeal in the morning, and it results in a creamier version without milk. This time I had a couple of bananas sitting on the counter and they were just calling my name. Therefore, I experimented doing some banana bread. My pantry is always full of oats. 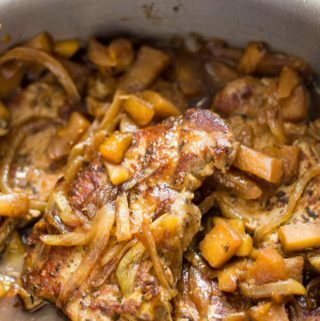 There a versatile ingredient used for sweet or savory dishes. 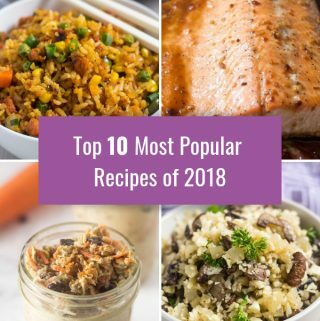 I also use the oats make oat flour at home. Just add a few cups of rolled oats to a blender or a food processor, and blend until you get a fine powder, like regular wheat flour. 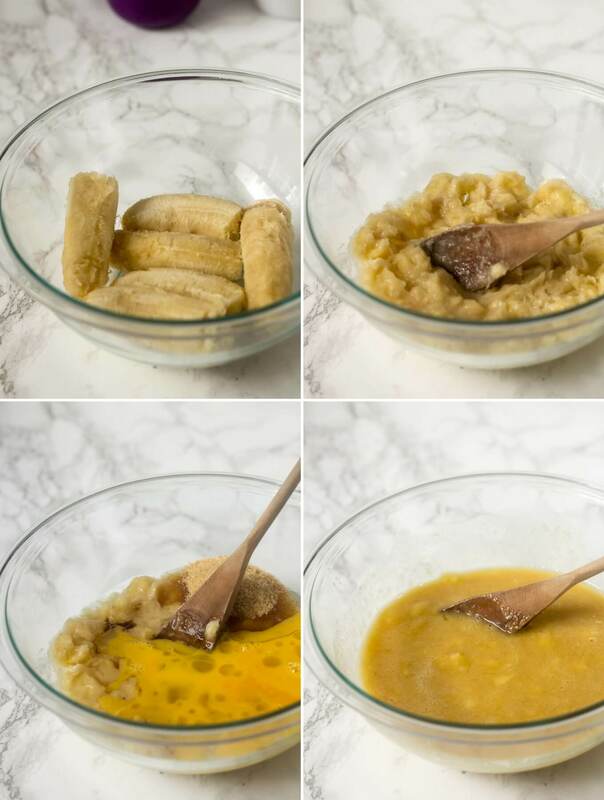 To start preparing your banana oat bread, you will need to preheat your oven to 350° F. In a large mixing bowl add your three bananas and mash them up. Next, you will mix in the sugar, coconut oil, vanilla extract and the two eggs lightly beaten. Mix until combined. 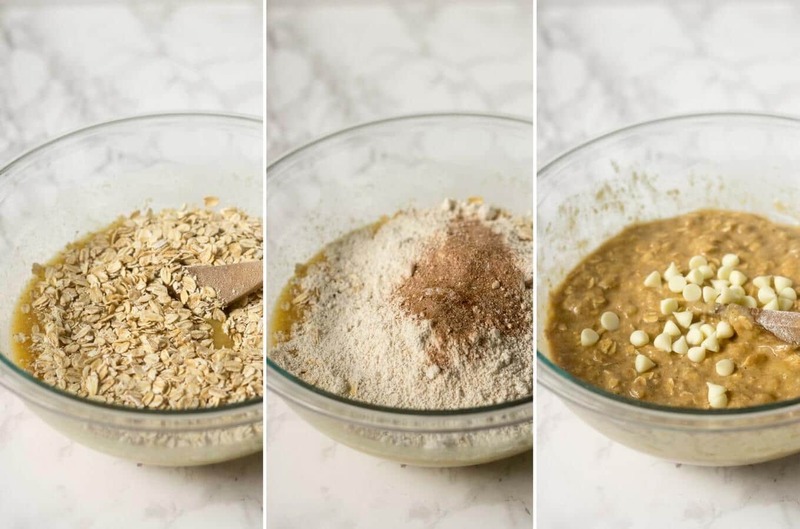 Next, add the dry ingredients a cup of rolled oats with the oat flour or ground oats, cinnamon, baking powder, salt and baking soda. Then fold the dry ingredients into the wet ingredients. Lastly, add half of the white chocolate chips and fold into the bread mixture. Line a loaf pan with parchment paper and add the batter to it. Add the remaining half of the white chocolate chips to the top of the bread. Bake covered for 40 minutes then, uncover and bake for 15 minutes or until a toothpick comes out clean. 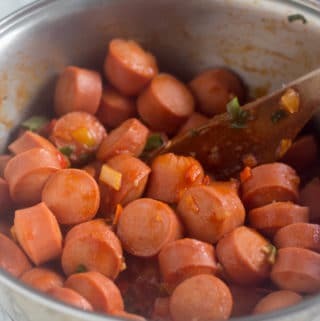 Remove from the oven and let it cool for at least 10 minutes before removing from the pan. The result would be a moist and not that sweet bread. 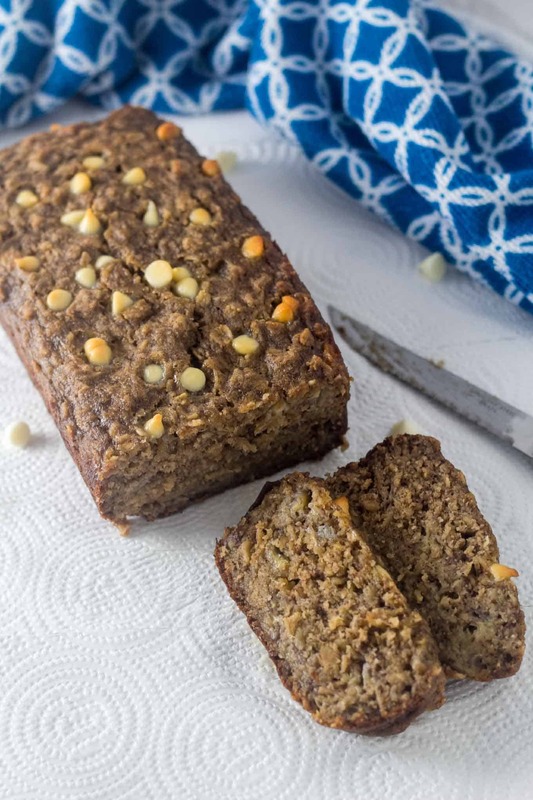 Now you can devour your banana oat bread. Enjoy! 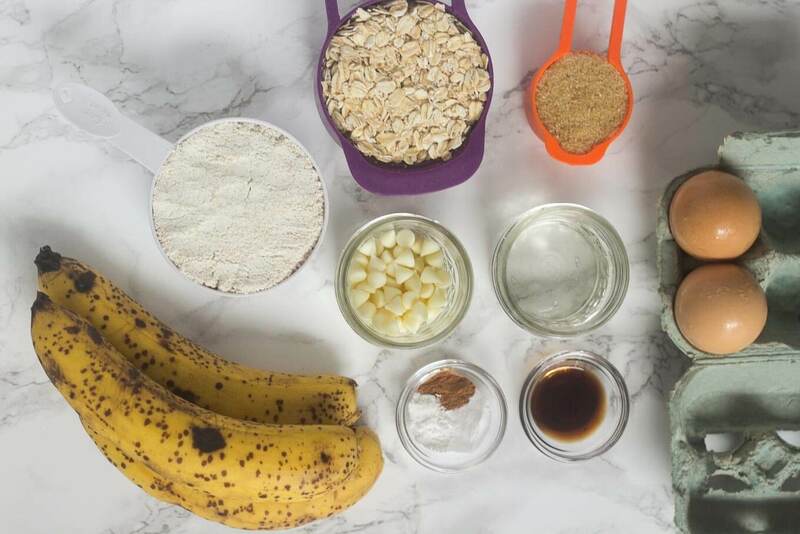 Try this easy 12-ingredient banana oat bread, that will result in a moist and sweet treat. You will love it! In a large mixing bowl, add the bananas and mash them up. Next, mix in the brown sugar, coconut oil, vanilla extract and the two eggs, until combined. Next, add the dry ingredients, old fashion oats, ground oats, cinnamon, baking powder, salt and baking soda. Then fold the dry ingredients into the wet ingredients. Lastly, add half of the white chocolate chips and fold into the bread mixture. 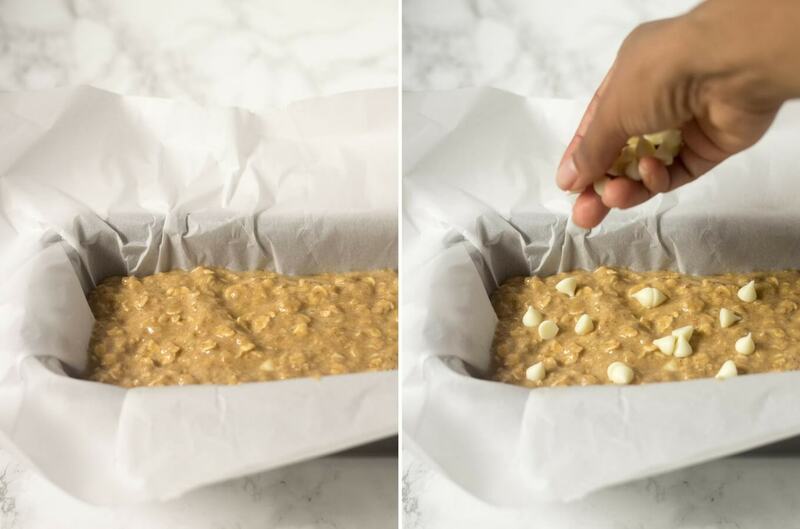 Line a loaf pan with parchment paper and add the batter to it. Add the remaining half of the white chocolate chips to the top of the bread. Bake covered with aluminum foil for 40 minutes then, uncover and bake for 15 minutes or until a toothpick comes out clean. Remove from the oven and let it cool for at least 10 minutes before removing from the pan and cutting into 10 slices. Enjoy! It is better to use overripe bananas because they are sweeter. They help us use less added sugar. Look for bananas with many brown spots on them, but that are still firm to the touch. 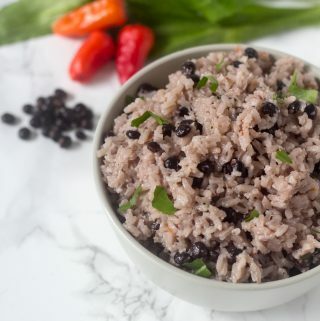 You can make this recipe gluten-free if you use certified gluten-free rolled oats. It is easier to make your oat flour at home. 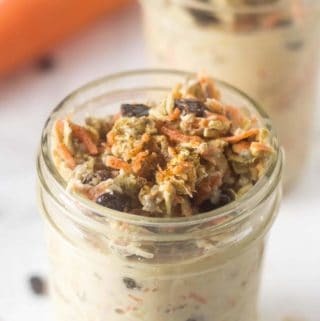 Just add to a blender or food processor your rolled oats and blend away until it has a flour consistency. The white chocolate chips create a nice balance and a little extra sweetness. You can replace the white chocolate chip with dark or milk chocolate chips if you prefer. You can omit them completely if you don’t like the chocolate chips. 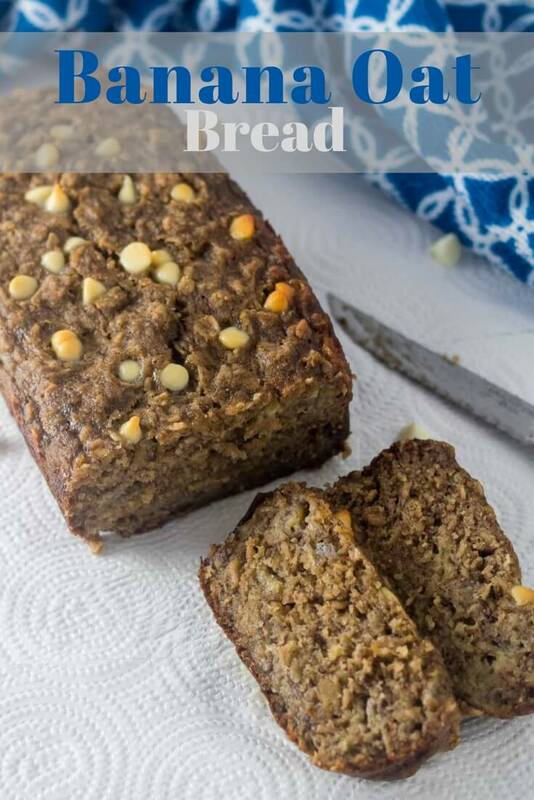 For a complete vegan banana oat bread, you can replace the eggs with the mixture of 2 flax eggs (Mix 2 Tbsp flaxseed meal with 5 Tbsp water and let it rest on the countertop for 3 minutes.. Covering the bread when baking it, will prevent it from browning too much. Store it in the fridge; it will last for up to 3 days. My recommendation would be, warm up a slice and put some butter on it. Alternatively, if you want it sweeter, after warming up the slice, add a scoop of vanilla ice cream. You have more overripe bananas laying around? Try making my fudgy flourless brownies or my double chocolate oatmeal peanut butter cookies. This looks perfect for sorting out my breakfast! lovely recipe. Ooh, banana bread with white choc chips sounds amazing, can’t wait to try it! Trying to switch things up a little with the white chocolate chips! Hope you enjoy it! 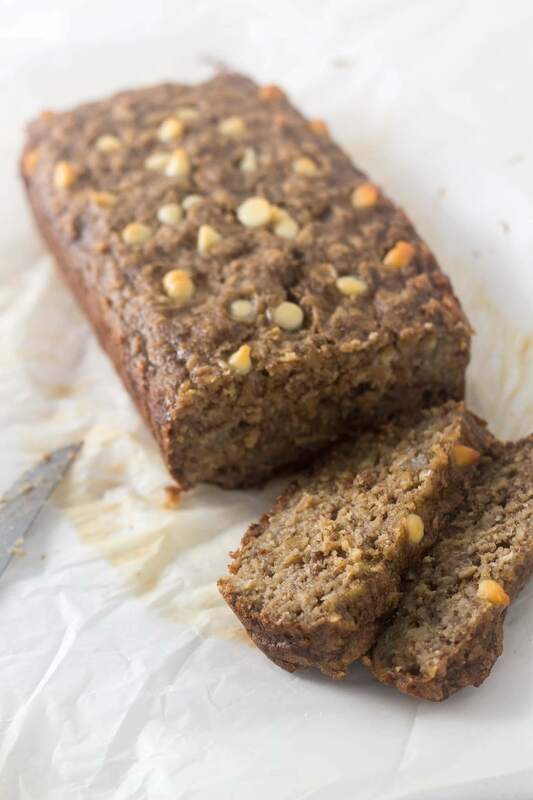 This looks like such a moist and delicious banana bread! I always use frozen bananas, too! It makes a huge difference! I think I have enough brown bananas in my freezer to open up a banana bread bakery! So thanks for the inspo. It’s timely. Haha. I love the addition of white chocolate chips! Banana bread is always a good idea. It goes with everything any time of day! I love that you use coconut oil instead of another oil, or butter. 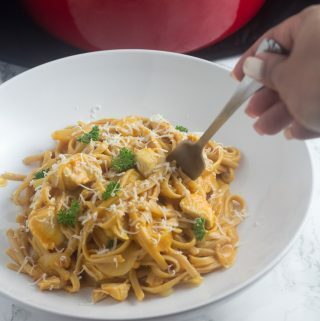 Thanks for the recipe update!